Add natural-looking warmth and definition to your skin with the Shiseido Synchro Skin Cushion Compact Bronzer. 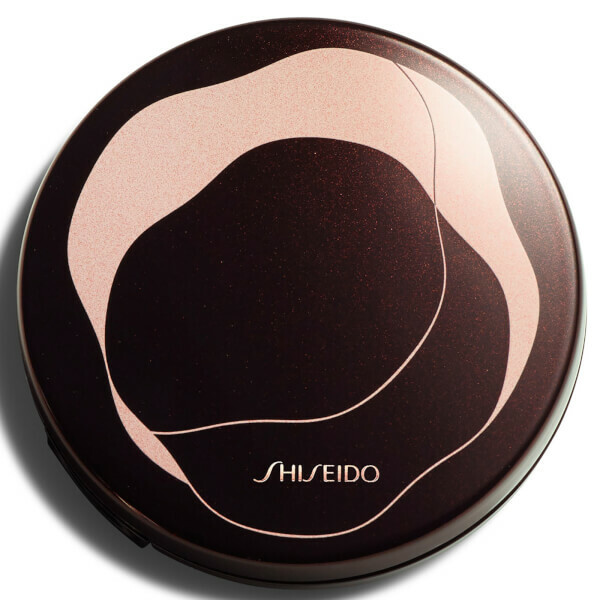 The brand's first cushion compact bronzer, it has convenient cushion delivery system which supplies a light, airy-textured bronzer with every tap of the sponge. 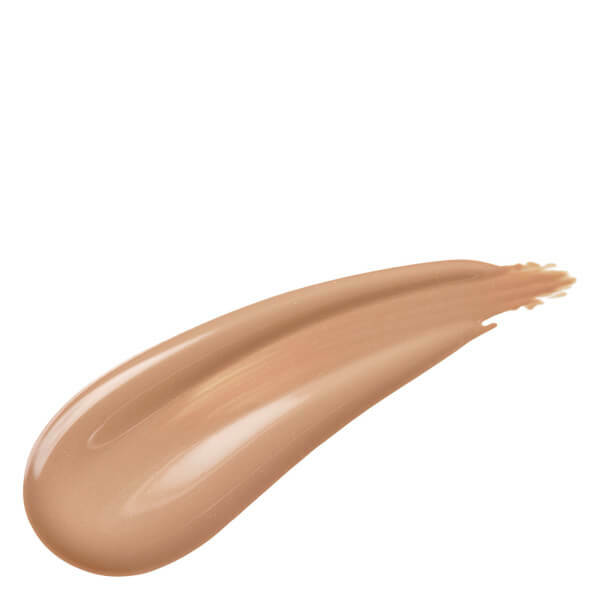 Suitable for all skin types and skin tones, the buildable, blendable bronzer feels gentle on skin and effortlessly defines contours while hydrating and correcting the appearance of pores and fine lines. Adapting to skin using synchronized technology, the bronzer offers four hour hydration wear, and has a fresh texture that is easy to apply. 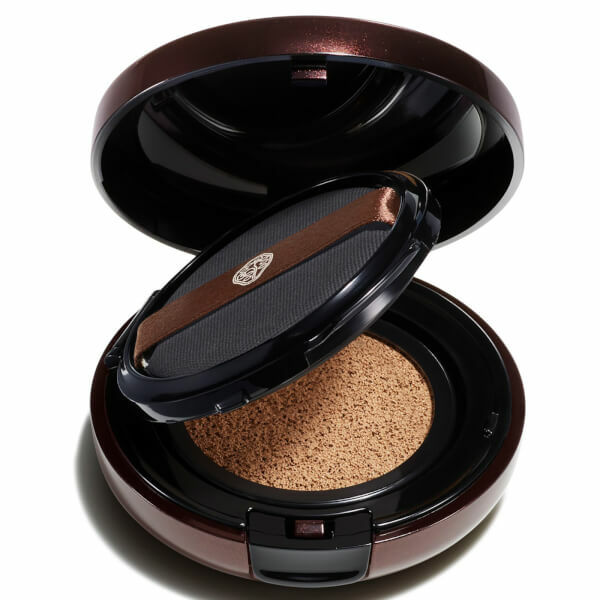 Enhancing skin's natural warmth, the universal bronzer creates a soft, sunkissed look. Use to contour cheekbones and jawline for a chiselled complexion. Also delivers oil-controlling properties. 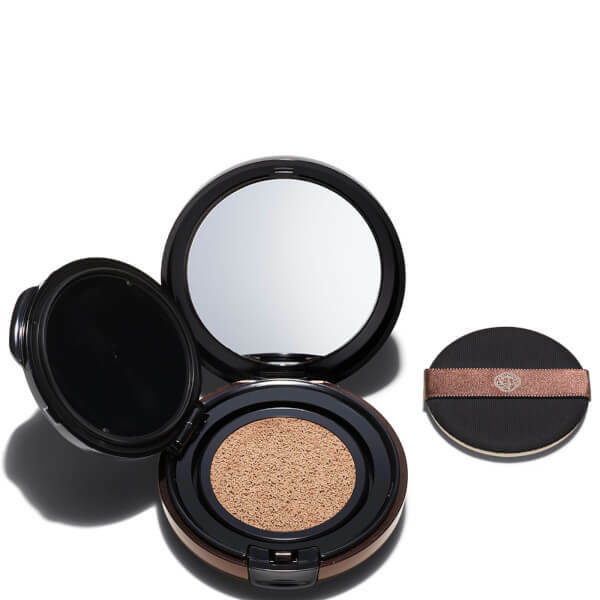 Arrives in a mirrored compact with applicator puff. Use two or three fingers under the strip of the puff. Press the puff into the sponge-pot a couple of times. Tap gently along the cheeks from the side toward the centre. Tap what is left on the sponge gently along the forehead and jawline.